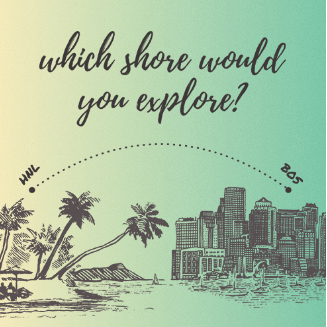 Sweepstakes in Seattle | …and everywhere! 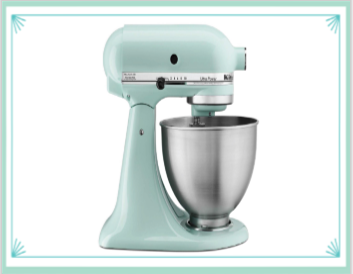 Win a Kitchen Aid Mixer! ENTER SWEEPSTAKES HERE – Southern Breeze Sweet Tea Sweepstakes page. ELIGIBILITY – The Kitchen Aid Mixer Giveaway with Southern Plate (the “Giveaway”) is open only to legal residents of the fifty (50) United States and the District of Columbia who are at least eighteen (18) years old at the time of entry. 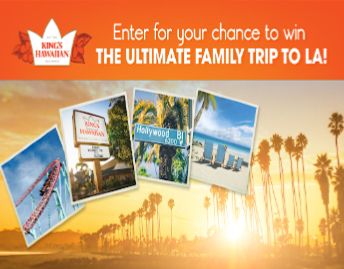 SWEEPSTAKES ENTRY PERIOD – Giveaway starts on April 7that 12:00 AM EST and ends on April 30th, at 11:59 PM EST. PRIZES – 1 Kitchen Aid Mixer (value $233.65). Win a Go Pro Hero & more! 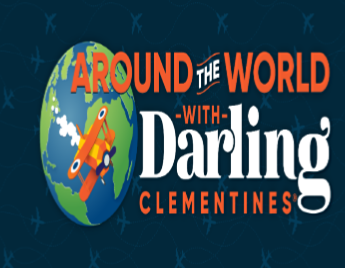 ENTER SWEEPSTAKES HERE – Darling Clementines Sweepstakes page. ELIGIBILITY – The Sweepstakes is open and offered only to legal residents of the fifty (50) United States and District of Columbia who have reached the age of majority in their state of residence at the time of entry. 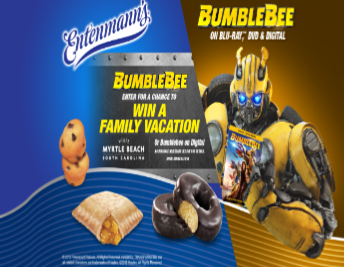 SWEEPSTAKES ENTRY PERIOD – The Sweepstakes begins at 12:00:01 a.m. Eastern Time (“ET”) on March 26, 2019 and ends at 11:59:59 p.m. ET on May 7, 2019. 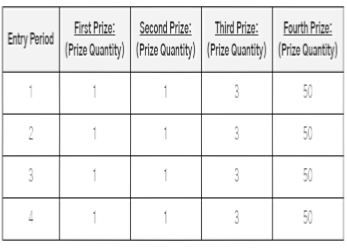 There will be (5) five Secondary Prizes awarded. The (5) five Secondary Prize Winners, upon the Administrator’s confirmation of eligibility, will receive (1) one Secondary Prize. The Secondary Prize is $100 Visa Gift Card and a 5lb box of Darling Clementines®. Winner List Request, 13760 Noel Rd Suite 450, Dallas, TX 75240. 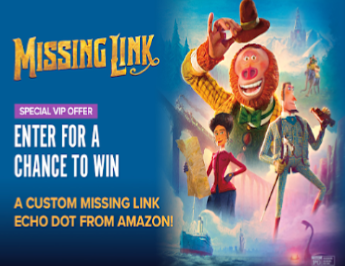 Win Custom “Missing Link” Amazon Echo Dot (50 winners)! ENTRY LIMIT – Limit 1 entry per person. 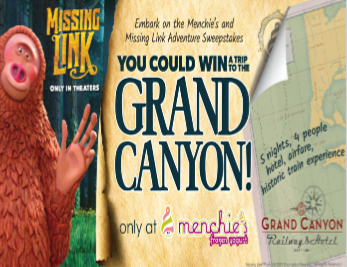 ELIGIBILITY – “Missing Link Sweepstakes” presented by Fandango is open only to legal residents of forty-nine (49) states of the United States (the “U.S.”) and the District of Columbia (void in Rhode Island, Puerto Rico, all U.S. territories and possessions and all overseas military installations) who are at least eighteen (18) years of age (or the age of majority in their state of residence, whichever is older) as of March 1, 2019, with access to the Internet at all times during the Promotion Period. 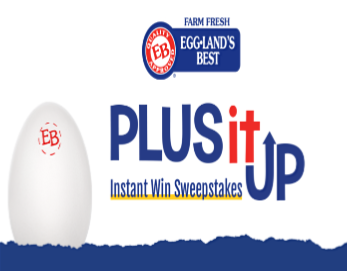 SWEEPSTAKES ENTRY PERIOD – The Sweepstakes entry period begins at 9:00 a.m. Pacific Time (“PT”) on April 5, 2019 and ends at 9:00 a.m. PT on April 19, 2019. PRIZES – Fifty (50) prizes (“Prizes”) will be awarded in this Sweepstakes to fifty (50) Winners. Each Prize shall consist one (1) Custom “Missing Link” Amazon Echo Dot approximate retail value (“ARV”): $39.99. Win a trip to Nashville to see Carrie Underwood in Concert! ENTER SWEEPSTAKES HERE – Carrie Underwood Sweepstakes page. ENTRY LIMIT – Regardless of method of Entry, only two (2) Entries per person. ELIGIBILITY – Sweepstakes is open to legal residents of the forty-eight (48) contiguous United States (including the District of Columbia) age 18 years or older at time of entry. 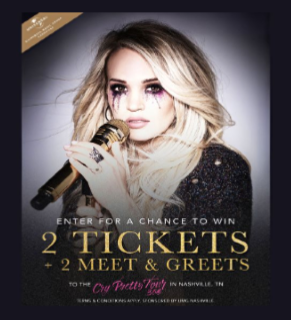 SWEEPSTAKES ENTRY PERIOD – The Carrie Underwood flyaway sweepstakes (“Sweepstakes”) begins at 12:00:00 PM Central Time (“CT”) on 4/1/19 and ends at 11:59:59 PM CT on 4/30/19. WINNER’S LIST – For the winner’s name (available after 5/15/19) or a copy of the Official Rules (before 4/30/19) send a self-addressed, stamped envelope indicating which to: CARRIE UNDERWOOD FLYAWAY SWEEPSTAKES WINNER LIST OR RULES REQUEST, c/o Universal Music Group Nashville, a division of UMG Recordings, Inc., 22 2nd Ave South, Suite 2200, Nashville, TN 37201 . 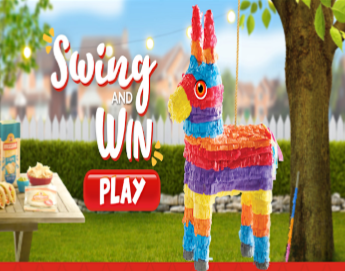 Mission Pinata Game Sweepstakes – Win a $500 AMEX gift card! Win a $500 AMEX gift card (4 winners) or other great instant win prizes! ENTER SWEEPSTAKES HERE – Mission Foods Sweepstakes page. ENTRY LIMIT – Limit of one (1) Game play per person, per email address, per day, throughout the Promotion Period. ELIGIBILITY – The Promotion is open only to legal residents of the fifty (50) United States and the District of Columbia (excludes Puerto Rico), who are eighteen (18) years of age or older at the time of Promotion registration. SWEEPSTAKES ENTRY PERIOD – Mission Piñata Game begins at 9:00:01 AM Eastern Time (“ET”) on April 1, 2019 and ends at 11:59:59 PM ET on May 5, 2019. PRIZES – A total of Five Thousand, Seven Hundred and Twenty-Three (5,723) Instant Win Prizes will be awarded (one (1) prize per instant winner) during the Promotion as detailed below. The total ARV of all Promotion Prizes is $ $46,469.00. WINNER’S LIST – For the winner list, send a #10 self-addressed stamped envelope for receipt by May 15, 2019 to Mission Piñata Game Winners List Request, C/O Realtime Media, 200 Four Falls Corporate Center, Suite 100, Conshohocken, PA 19428.